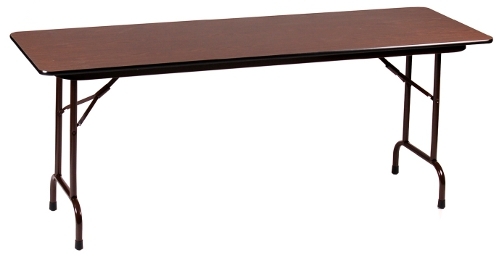 This commercial laminate top 8 foot folding rectangle table is available in 30 or 36" width. This table features a 3/4" high density particleboard core, and high pressure laminate top. Many laminate colors to choose from. Available 30 x 96 & 36 x 96". Please call for other combinations.